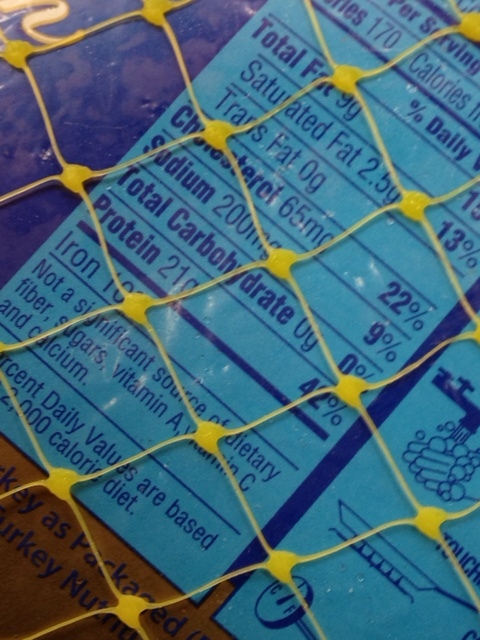 Thanksgiving turkey should be a no-brainer for those watching their salt, fat and sugar intake. The white meat of the turkey (sorry no fatty dark meat or skin on your plate) is lean enough to eat. But unfortunately, turkeys can hide mountains of salt depending on which kind you buy. Like everything else in the normal grocery store, you need to check the nutrition labels before buying. Why? Because any turkey that includes liquid for self-basting likely has tons of salt in it. Even some that aren’t self-basting also are injected with juices to aid cooking and those juices are salt solutions basically. Beware turkeys like this one that are self-basting. They’re loaded with salt. Here’s what I found on a walk past the turkey cases at a local Jewel supermarket in the Chicago area. The first turkey I looked at, a self-baster had 230 mgs of sodium per serving. Compare that to a fresh turkey I found that has between 50 and 70 mgs per serving. That’s a major difference particularly if you’re planning to eat more than one serving, four ounces, as most people do on Thanksgiving. 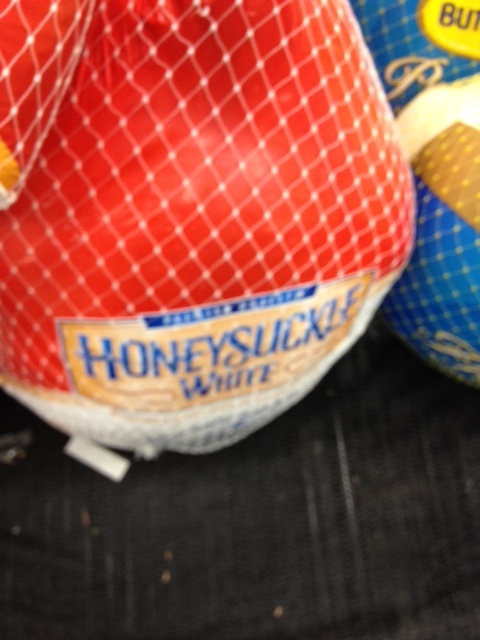 A Honeysuckle turkey I picked up was even worse, salt-wise, with 360 mgs of sodium per serving! So salt varies even among the salted birds. 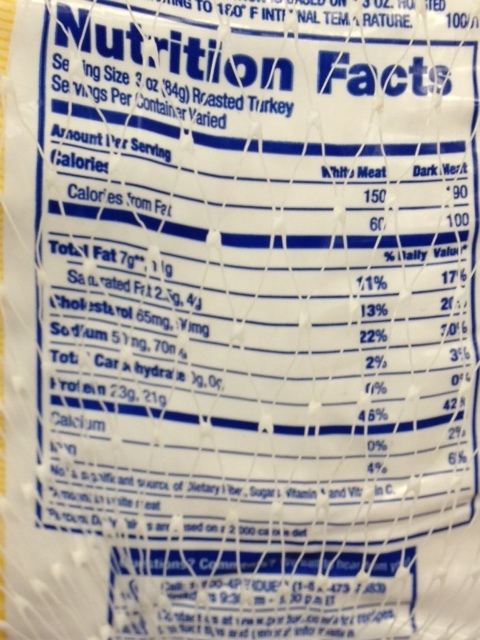 Here’s a fresh turkey with 50-70 mgs of sodium per serving. Stick to fresh is you can to avoid more salt. Your best bet is to buy a fresh turkey with the minimum salt content of 50-70 mgs per serving. If you must buy another, check to get the lowest salt content possible.